Adopt fantastic warrior style with the help of top notch plate armour like the Small Blackened Markward Spaulders. 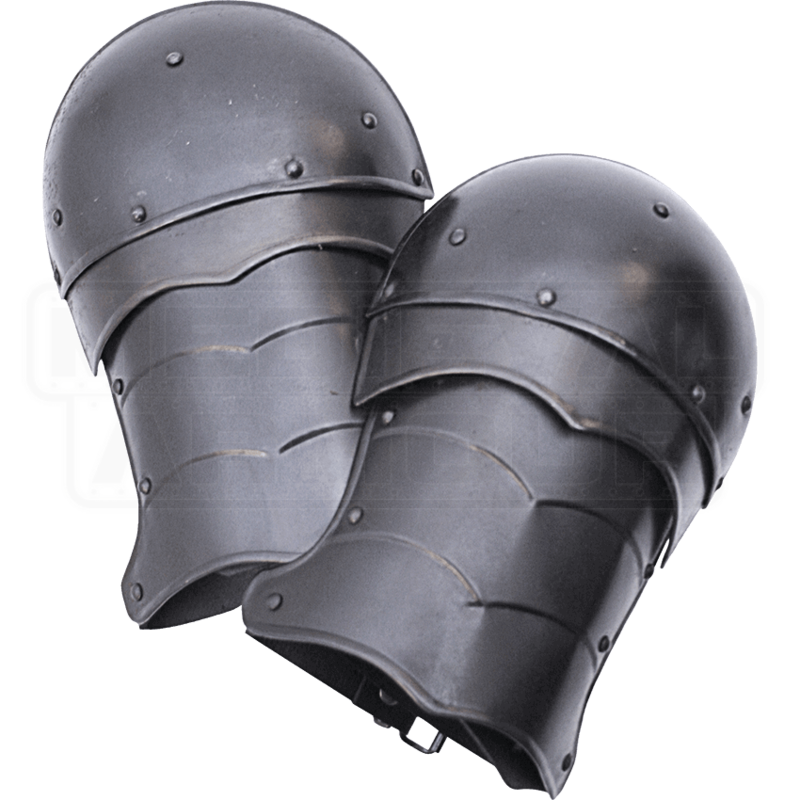 These impressive steel spaulders display a dark metal finish that goes well with other medieval armour, especially our Markward-style pieces like the Blackened Markward Gorget (MY100055). The strengthened design of the shoulder armour ensures it has great durability, while also offering excellent maneuverability. We recommend wearing padded arming wear with this steel armour for increased comfort. This functional armour is ideal for LARP event and re-enactments. Please note that this item must be worn with a gorget.